TWO-TIME Olympian Michael Martinez is taking an indefinite break from figure skating. The veteran of the Sochi and Pyeongchang Winter Olympics announced his decision to take an indefinite leave after 13 straight years of practice and competition. Martinez, 21, whose last competition was in February this year, stressed that he has dedicated all his life to figure skating. He would wake up at 5:30 a.m. every day and train six to 10 hours on the ice, two hours off the ice for workout, one hour on dance and one-and-a-half hours for treatment. But no matter how much he loved figure skating, Martinez felt that it’s time for him to take a break. “So I’ll do whatever it takes, sacrifices that I need to do just to be able to reach my goals,” he continued. He started figure skating in 2005 when he was eight, made his debut in the ISU Junior Grand Prix in the 2010-2011 season, won his first senior international title in 2012 in the Crystal Skate of Romania, and finished fifth in his second appearance at the 2013 World Junior Figure Skating Championships. He finished seventh in the 2014 Sochi Winter Olympics, where he also served as the Philippines’ flag bearer and ruled the Asian Figure Skating Trophy the following year. In 2016 he finished ninth out of the 23 competitors at the 2016 Four Continents Championship before competing in the 2017 World Championships. Despite the stress from training and competition, Martinez admitted that he never experienced depression. “I don’t even know how I was able to do it, hindi ako nag-break down,” he said. 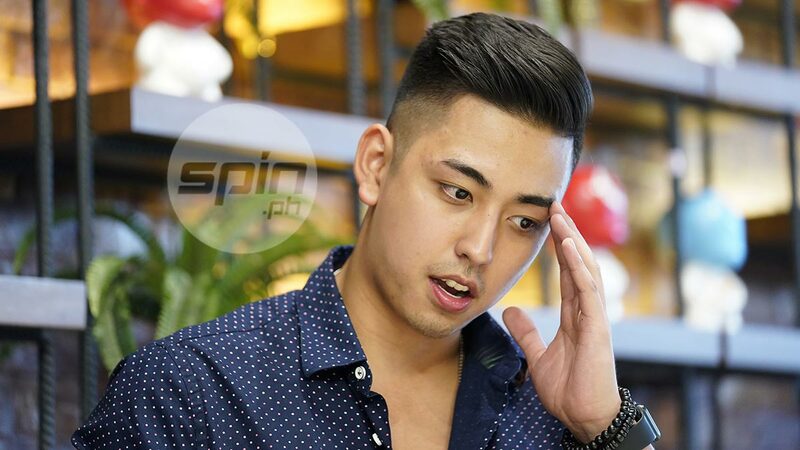 “Kasi lahat ng athletes eh, especially ‘yung sa figure skating after ng Olympics or after ng big competition, they always go down and may iba pa nga one year to one-and-a-half years sila nagbe-break,” he added. While on a hiatus, Martinez is currently taking on a part-time coaching job at Lake Forest in California. After his Pyeongchang Winter Olympics stint, he also worked in a law firm and that experience taught him a valuable lesson. “I did paper works, running some errands, sending documents and at some point it was very humbling,” he said. “Kasi sometimes sasabihin ko, ano ba ‘yan, Olympian ako and this is what I’m doing. I mean there’s nothing wrong with that pero to me it’s a very good experience kasi every day you always do something new,” he added. “And, for me, I realized to be thankful with what you have and appreciate it ‘cause once it’s gone, it’s gone,” he added.